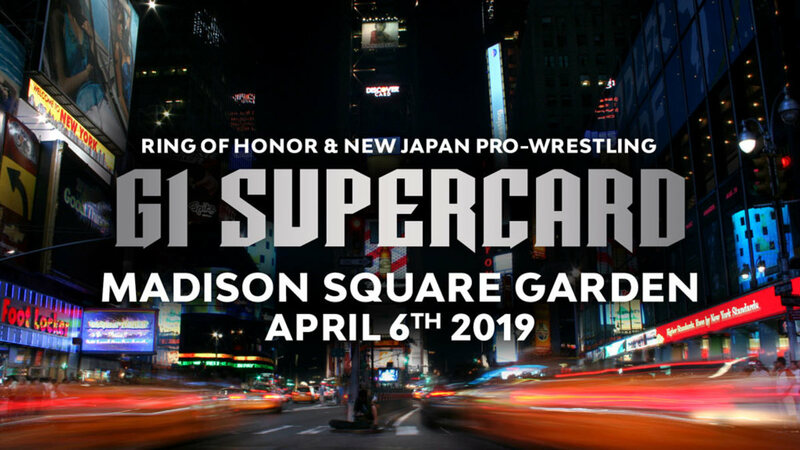 The April 6, 2019 Ring of Honor/New Japan Pro Wrestling G1 Supercard event not only sold out Madison Square Garden, but was among the quickest sellouts for a pro wrestling event in the history of the building. The official time of the sellout was between 13 and 16 minutes after tickets went on sale to the public this morning. Most of the tickets were sold in pre-sales on Wednesday and Thursday. The capacity of 15,000 was less than the 20,000 that had been used before the days of staging for big wrestling events in the days of Bruno Sammartino and even Hulk Hogan, but even in those days, tickets rarely sold out more than a week in advance, and even then only for the biggest cards. No MSG wrestling show has ever sold out nearly eight months in advance and with no matches announced. The last pro wrestling sellout in MSG was in 2015, and it has sold out seven times in the last decade for pro wrestling.